Cloudy skies this morning will become partly cloudy this afternoon. High 64F. Winds S at 5 to 10 mph..
El Sereno: $20,000 price drop for a 3-bedroom bungalow on a corner lot – a block-and-a-half from Ascot Hills Park. $669,000. Highland Park: Price drops $50,000 for two house on a quarter-acre lot – a 4-bedroom in front, a 2-bedroom in back. $1,749,000. 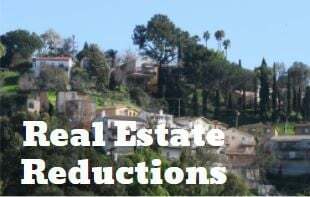 Silver Lake: $49,000 cut for a newer 3-bedroom home with a rooftop deck. $950,000.